Mine’s a bit busy over the week, a lot of things going on and I am adjusting to. Anyways, I am here to review this product from LA Girl. It’s been a long time that I haven’t posted about this product since I already got a hold of it for almost 6 months. 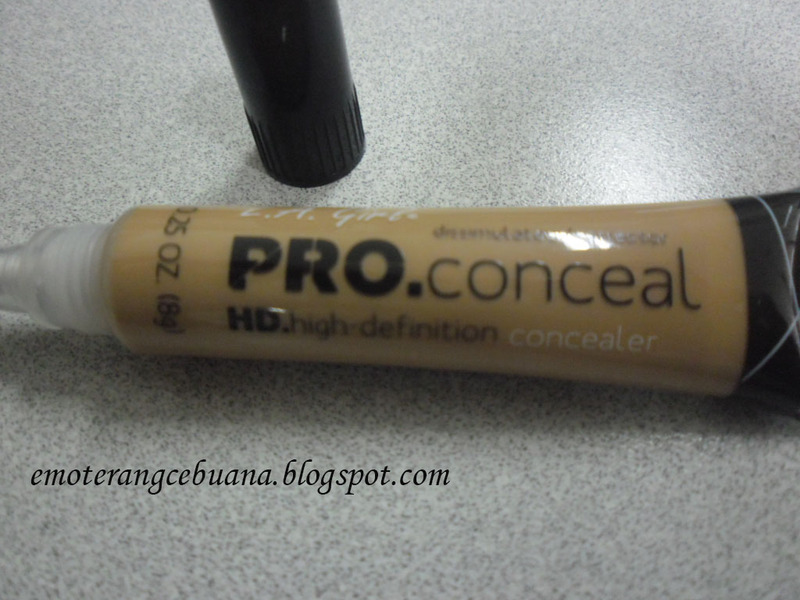 This is my first ever concealer, I’m not really into liquid concealers, stick concealers do well for me but I haven’t got so many products in fact I only got one concealer that is not liquid. It comes with a brush applicator and the product comes out as you squeeze from the tube. For hygienic purposes, you can also gently brush off excess product using a tissue away from the applicator after you applied the necessary amount of product on your problem areas. This is usually set with a sponge, but you may also use your hands to tap the product. 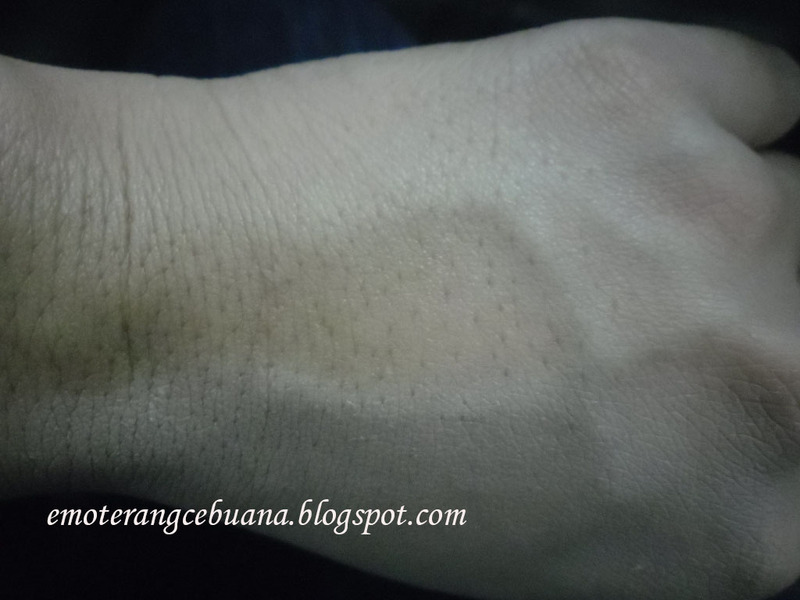 The product applied for swatching purposes. Can you tell which part is concealed? Overall, I like this product. 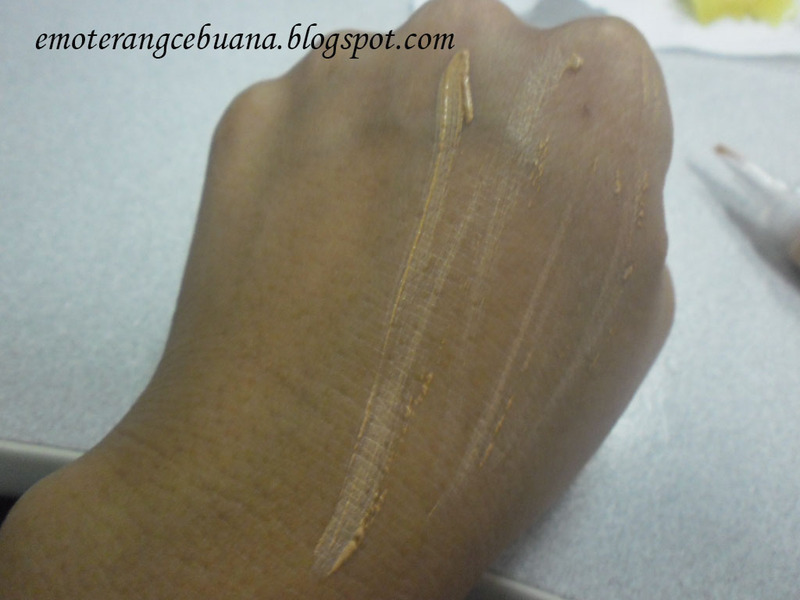 Personally since it is light and creamy that you can also use it as a foundation. What I dont like about it is that it is quite expensive for an 8g product, I bought this for 200+ Pesos in Watsons. I haven't try any concealers from LA Girl yet. Though your photo is a bit dark, I can say it conceals. Nice review. I am your new follower! hi jenniya! thanks for droppin by and followin. I have this too and I'm loving it so far! A little goes a long way with this product.